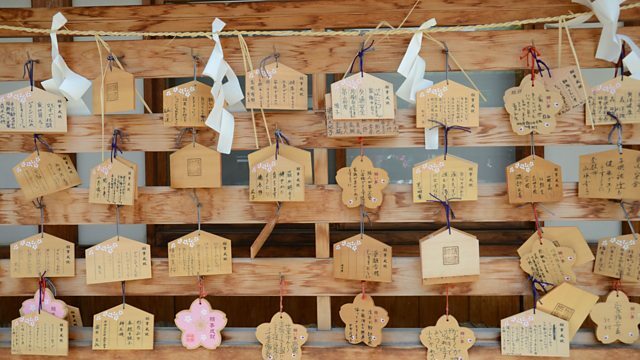 What is the link between Japan's World War Two legacy and Shinto beliefs? Japan is commemorating 70 years since the end of World War Two. Japan's indigenous ritual practice, Shinto, or more precisely State Shinto, is closely intertwined with Japan's military adventures in Asia and sites like Yasukuni Shrine remain a sore spot for regional neighbours like China and Korea who suffered at the hands of Japanese army. Japan's conservative Prime Minister Shinzo Abe is expected to release a much-awaited statement that will define the current official view of World War Two and its legacy. The statement will likely reassess and possibly weaken the language of the 1995 Muryama statement of "deep remorse" and "heartfelt apology" that has until now set the benchmark for Japan's official acceptance of responsibility for atrocities committed in WW2. Janak Rogers explores the meaning of Shinto and how it became a driving force for the Great East Asia War. He also investigates why the Yasukuni Shrine is still so controversial and the role of state Shinto.